For last few months, I have been working on a side project of mine to develop machine learning application on streaming data. It was a great learning experience with numerous challenges and lots of learning, some of which I have tried to share in here. This post explains how to deploy machine learning models with spark and covers all 3 necessary areas of a successful production application: infrastructure, technology, and monitoring. The first step for any successful application is to determine the technology stack in which it should be written, on the basis of business requirements. As a general rule of thumb, when the amount of data is huge, use Spark. First of all, the primary benefit of using Spark is its proven ability in big data processing and, availability of inbuilt distributed machine learning libraries. The initial challenges in using spark were the use of RDD, which were in-intuitive and very different from the Dataframes, which, Data Scientists are used to working with. However, with the introduction of Dataset API in Spark2.0, it has now become easier than before, to code up a machine learning algorithm. During my experience, I have found that working with machine learning models becomes extremely easy with proper utilization of “Pipeline” framework. What a Pipeline does is provide a structure to include all the steps required for processing & cleaning data, training a model, and then writing it out as an Object. This object then can directly be imported to process new data and get predictions or forecases thus freeing the developer from the process of re-writing processing steps for the new data which were followed to build a model with the training data. In the snippet below I have tried to cover how to use this API to build, save and use the models for prediction. For building and saving a model one can follow the following code structure. // Define the cross validator for executing the pipeline and performing cross validation. // extract the best trained pipeline model from the cross validator. Once a model is saved it can be used for prediction on streaming data easily with the following steps. Implementation of these 3 steps leads to the successful deployment of “Machine Learning Models with Spark”. Consequently, the next step is to integrate monitoring, alerting and logging services in the application, so as, to get instantaneous alerts and keep a tab on how the application has been working. There are many tools available in the AWS stack, to avail these facilities. 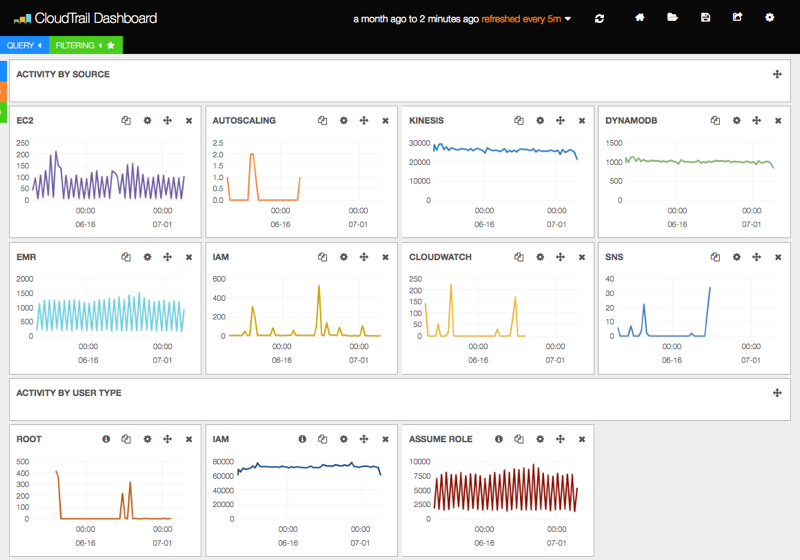 A couple of them which are used frequently are CloudWatch for Monitoring and Elastic Search for Logging. These can be readily integrated via there API available in different languages. AWS EMR became the obvious choice owing to the availability of clusters with pre-installed spark and internal resource management. Ability to spin up a new cluster with full deployment in a short time is also a major plus point. A simplified architecture diagram will look like. Lastly, as in any other spark job, tuning it is necessary in the case of a streaming job as well for maximum efficiency. The first step in tuning a spark job is to choose appropriate instances for the job. On performing several experiments on M4(general purpose) vs C4(computation heavy) instance types, I found M4 to be better performing primarily because of its ability to provide virtual cores as well. b) — conf spark.yarn.maxAppAttempts=4: This property defines the maximum number of attempts which will be made to submit the application. It’s quite useful for scenarios where multiple spark jobs are being submitted to a single cluster and sometimes submit jobs fail because of a lack of available resources. e) — conf spark.yarn.max.executor.failures=15: The maximum number of executor failures before an application fails. Always set it to a higher number. f) — conf spark.yarn.executor.failuresValidityInterval=1h: Defines the time interval for the validity of executor failures. Combining with above property basically in hour maximum 15 executors can fail before the job dies. g) — driver-memory 10g: Provide sufficiently high driver memory so as to not fail in case of a burst of messages are to be processed. I hope this material proves out to be useful to people who are starting out with structured streaming. It will be a pleasure to contribute back to the open source community through which I have learned a lot. If you enjoyed this piece, please leave a comment and let us know about it. You can also follow me on Twitter, Medium or find me on LinkedIn.